Last month, several regular English-language columnists were informed by editors that their columns would not be published. For the first time in the 10 years he has written for The News, Mosharraf Zaidi’s article was not published by the newspaper. 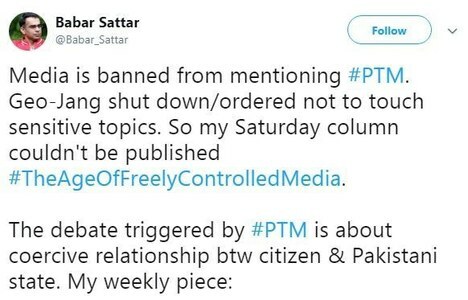 When lawyer Babar Sattar’s article was pulled out of the same newspaper, he tweeted it using the hashtag #TheAgeOfFreelyControlledMedia. 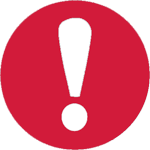 Stories published in the newspaper have been deleted from its web edition. While the press is no stranger to censorship in a country that has experienced decades under military dictatorship, today, divisions among the media have weakened its ability to resist undemocratic pressure. This year, on World Press Freedom Day, the global call to protect independent journalism from attacks and ensure the prosecution of crimes against journalists coincides with a decline of media freedoms in Pakistan — that too, significantly, on the eve of a general election. In a new report, media rights watchdog, Freedom Network (FN) has recorded more than 157 attacks on journalists between May 2017 and April 2018, 55 of them occurring in Islamabad alone. 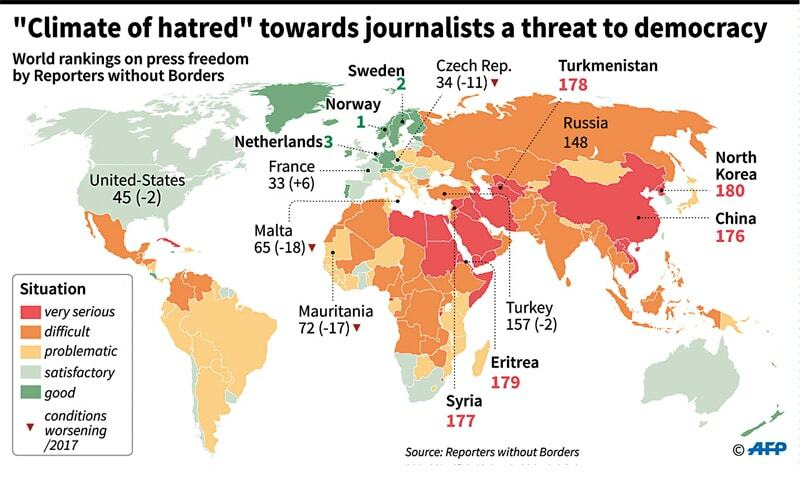 While threats from militants have significantly reduced, the federal capital has emerged as the most dangerous place for journalists. In its stead, state agencies are posing serious threats. Critical opinions in nascent democracies like ours are persecuted because of weak institutions, limited legal frameworks and lack of political will, which are all antithetical to a free media. Nonetheless, the consequences for the media remain the same: self-censorship. 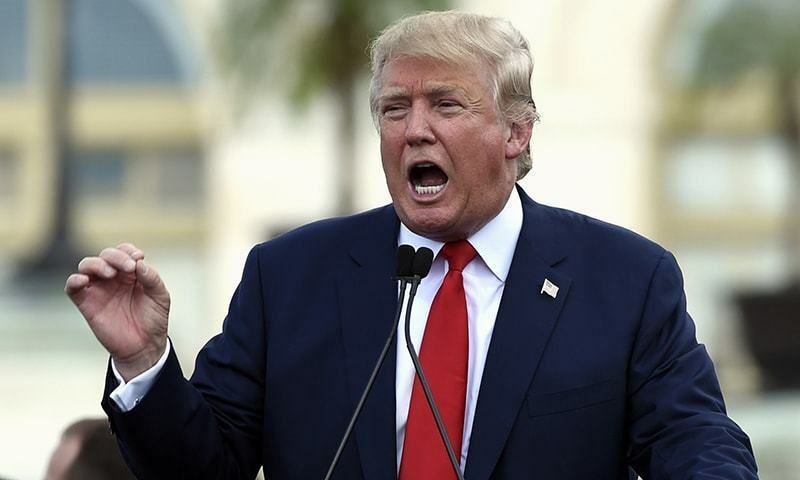 “[There] is pressure from the right, left and centre. I cannot write according to my own will. How can I be responsible if I am told what to write?” a former secretary general of the Pakistan Federal Union of Journalists explained. In the current climate, columnists have said they were asked not to write on ‘sensitive’ subjects. Coverage of the rights-based Pashtun Tahafuz Movement is one such issue. In the run-up to the general election, can the media resist increasingly complex curbs on press freedom? For tribal journalists, they know only too well to stay on the right side of the military, said Rasool Dawar, a reporter from North Waziristan. For him, pushback against the press embargo by young Pakhtun activists on social media has not trickled down to him being able to write on similar issues, such as enforced disappearances. The Jang Group’s Geo TV was pushed off the airwaves across most of the country — a ban neither sanctioned by the government’s media regulatory body, Pemra, nor its Ministry of Information. Cable operators claim they were instructed on what channels to bury down the lineup order or even remove. Many journalists and editors said they either receive ‘directives’ on what news to spike, or are self-censoring content, fearing a similar reprisal. Senior journalist Naseem Zehra viewed this as a reflection of the military establishment’s insecurity. Censoring any criticism of the military and suppressing any perceived bias towards the PML-N — including media coverage of former prime minister Nawaz Sharif’s anti-judiciary speeches after his disqualification — are prerequisites for staying in business. “I can’t remember it being so bad. There was pressure during the Zia-Junejo period, but now it’s more brazen and authoritarian. Based on what happened in the Senate election and Khawaja Asif’s disqualification, what kind of election are we going into?” Mr Aslam asked. He explained the latest phase of censorship is not unheard of for journalists, who have always faced uncertainty and fear. There has been little reaction to such oppressive directives from opposition parties and certain media outlets. Recall when former president General Pervez Musharraf cracked down on private TV channels in 2007, political parties and editors alike rallied against the move. This time round, none of the opposition parties have protested against this high-handedness. Moreover, increased infighting between certain media groups has atomised the industry. The mainstream narrative in Pakistan about its press is that it is out of control, so when a media house is being asphyxiated and censorship ‘directives’ are followed by many media groups, it is not perceived as a damage to freedom of expression — even by sections of the media itself. But, given what is at stake, such repression portends disaster. 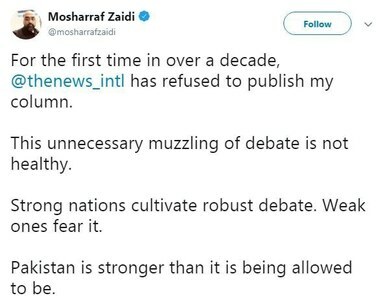 Let see if you allow freedom of speech by publishing truth: That is, Pakistan never allowed freedom of speech until Musharraf allowed this freedom in 2002. Musharraf did not only allowed this freedom, he also gave licences to hundreds of media outlets. Before Musharraf, we had only government controlled TV channel, radio stations and strongly controlled few private newspapers and magazines. Musharraf was only person in Pakistan history who believed on freedom of press. He also used to come on TV interviews answering all questioned asked and his interviews were shown live on TVs uncut and without censorship. Unfortunately, media houses and TV personalities (many got recognized and earned millions due to Musharraf policy), once established, started doing propaganda full of lies against Musharraf for handful of dollars from corrupt politicians. Now, they have to suffer and blame themselves as corrupt politicians and bureaucrats want return of Pre-2002 press era. If you want press freedom break up the Sharif monopoly. Can the Pakistani media resist increasingly complex curbs on press freedom? _ Only if the media understands how to use satire to advantage and Pakistanis can develop a sense of humour. Pakistan has perhaps the most uncontrolled and unregulated media in the entire solar system. That picture tells the whole story! Sad state of affairs. ISPR propaganda is strong. Good luck to media fighting back for freedom. Since 1947 they have been brainwashing awam and they will continue to. It will get a lot worst before it gets better.